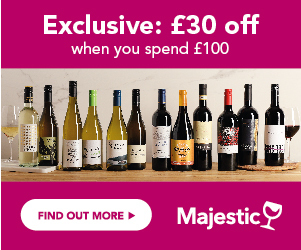 Find the best deals and buy perfect Sancerre for less. Compare prices from top UK merchants and use our exclusive vouchers. Look at awards and reviews to make the best possible purchase. Sign up to Price Alerts and let us notify you when the price your chosen bottle drops. This is the most famous part of the Upper Loire, producing mainly distinctive, grassy, gun-flinty dry whites, with a small proportion of fruity dry Rose and some elegant reds. Styles: Whites are crisp, bone dry, pungent and very aromatic, with aromas and flavours of gooseberries, wild herbs, freshly cut grass, and a smokey, minerally edge. Roses are gentle, raspberry- scented and delicately dry, whilst the reds have a delicate, cool climate, soft and silky character, with gentle tannins, and ripe, red berry fruit character. Grape: Sauvignon Blanc for the white; the rose and red wines are all from Pinot Noir. Good with: Loire Sauvignon Blanc is absolutely perfect with seafood, gently poached fish, goats cheese dishes, and also fish dishes with a hint of spice. Also great with asparagus. The Roses are relatively delicate, but would work well with prawns, and gentle chicken dishes. Reds are soft, fruity and perfect with roast chicken, game, charcuterie, meaty terrines and gammon.